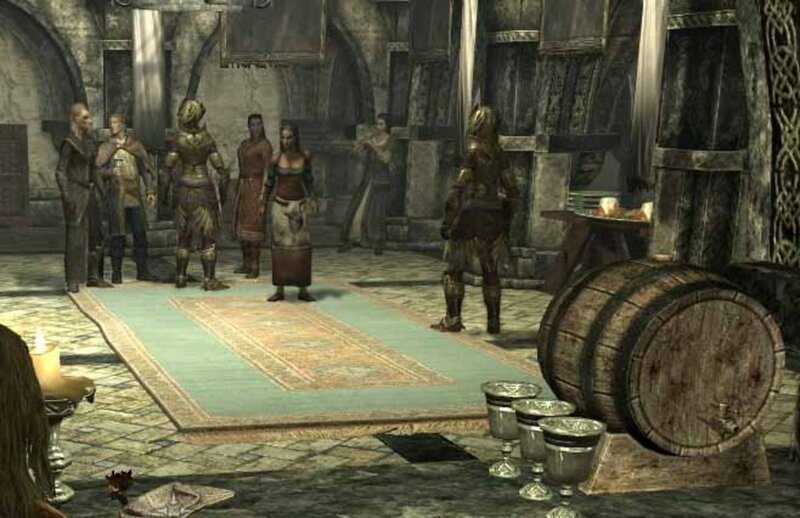 In Skyrim, the way to Auriel's chantry passes through Darkfall Passage. This is a series of caves and tunnels deep within Skyrim that you must successfully traverse to get to the inner sanctum. This is one of the most dangerous dungeon crawls in Skyrim because this area is crawling with falmers, chaurus, vile saber-toothed tigers, and traps. In addition to the presence of dangerous creatures, the way through is twisted and convoluted, and wrong turns will lead to dead ends and frustration. However, the right way leads to ecstasy and a sense of achievement, particularly for the low to mid-level heroes. This article will guide heroes who want to survive Darkfall Passage. Survive the monsters within Darkside Passage. The first monster to attack the hero will be the chaurus hunter. Gelebor the Knight Paladin will open the portal into Darkfall Passage. He will wish you luck and provide a warning about the long journey ahead. Initially, the path appears to be very linear, the danger from monsters appears to be limited, and the threats seem insignificant. Initially, a chaurus hunter springs from the ground and attacks. Later, some falmer warriors and a falmer sorceror leap out of falmer holes into the hero's path. Defeat them using your favorite fighting style and proceed deeper into darkside passage. 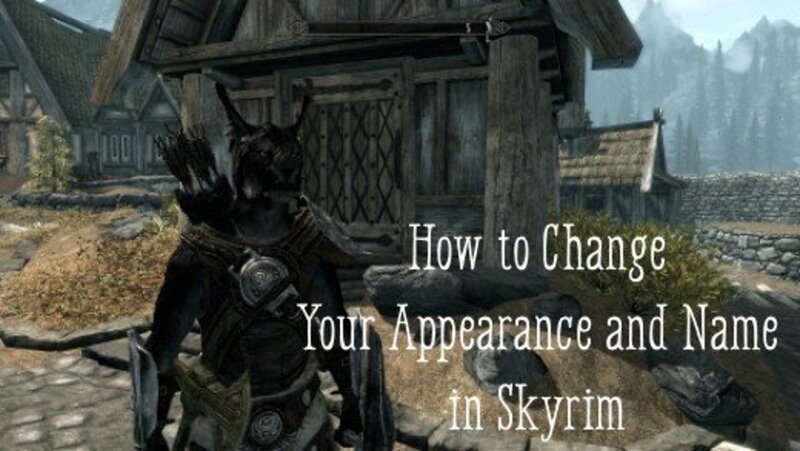 Use sneak and bow attacks on them. For the low to mid-level players, two sneak archery attacks in quick succession will take care of the falmers, one at a time. Try not to let the falmers group together, as their combined attacks can crush you and your party pretty fast. Head up the rocky ramp and enter another large cavern with a falmer and a chest in the center. There is a trap that will be activated upon the opening of the chest, so be careful. Go up another rocky ramp and walk past the bridge. Beyond the skeleton trophy, two falmers will drop from holes to attack you. Finish them and move on towards a u-shaped, blue-coloured, large rock. There is a trap at the rock. Try to avoid the trap and move on to a mist-like tunnel which leads to another large cavern with a chaurus pen housing two chaurus. At this point, a falmer gloomlurker will attack you. 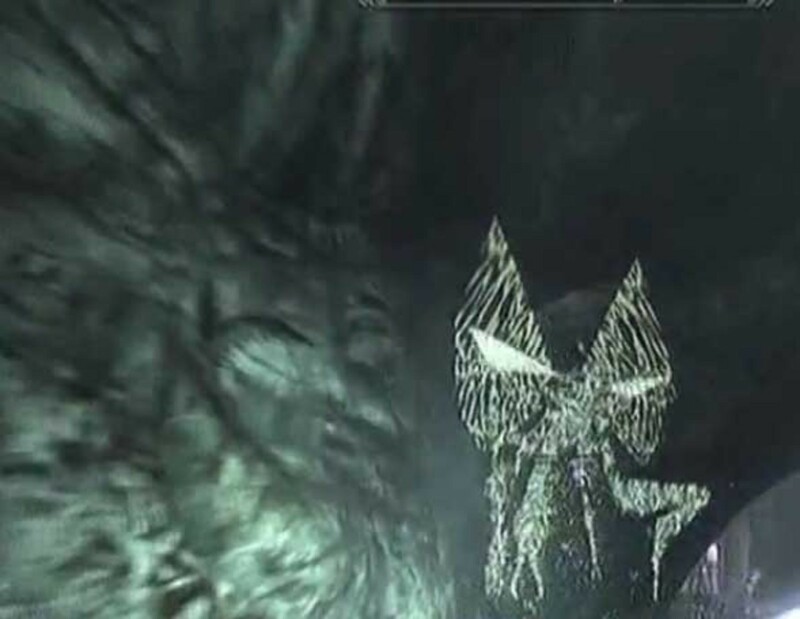 The falmer gloomlurker is difficult to sneak past or attack from a stealthy position, so just change to Vampire Lord mode and face him head on. 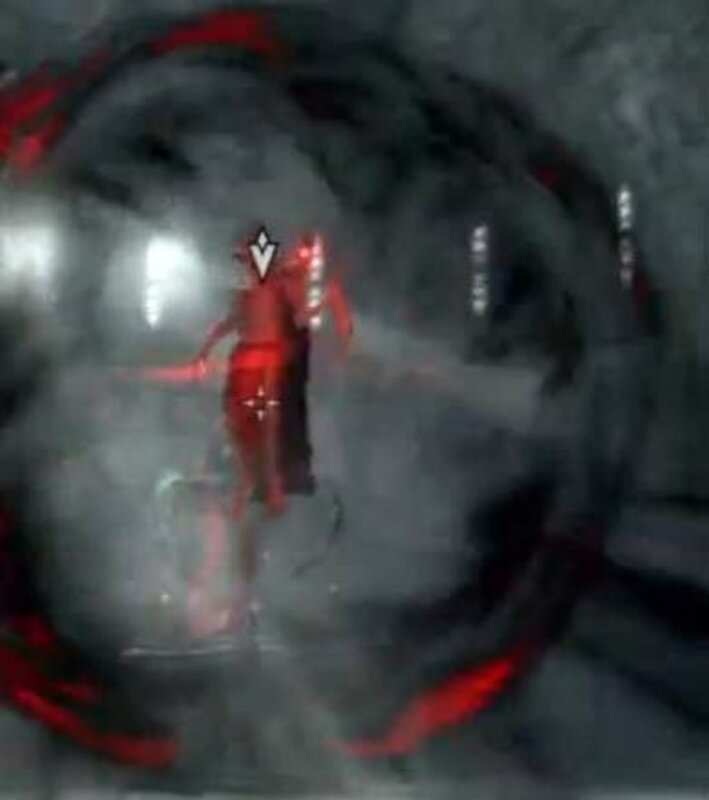 Use Life Drain and Vampiric Grip to defeat the falmer gloomlurker. Beware of the gloomlurker's healing ability because it can undo almost all of the damage that you have inflicted on the falmer gloomlurker. Once the falmer gloomlurker is down, you should tackle the two chaurus within the pen before moving on. 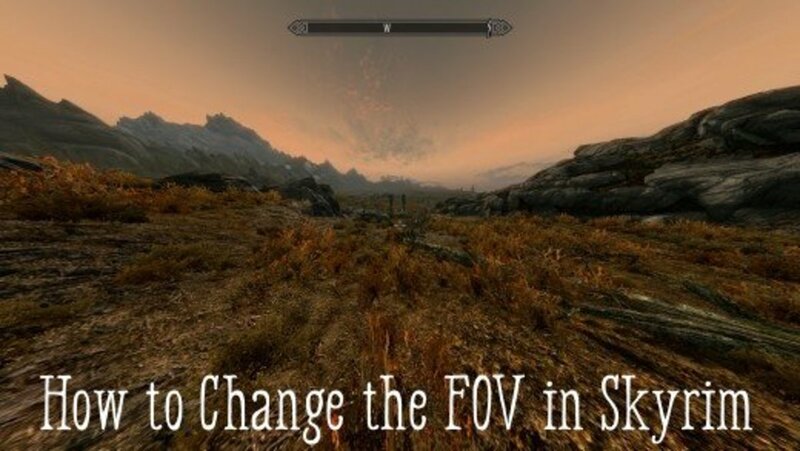 This will allow you to go into undetected sneak mode again. This will be useful as you move into the bridge past the waterfall in this area. Two falmers will appear with the intention of attacking you. Use your sneak attack to defeat them and then proceed further. You will find more traps and tripwires in this area. Head down the left side of the path and avoid the tripwire. 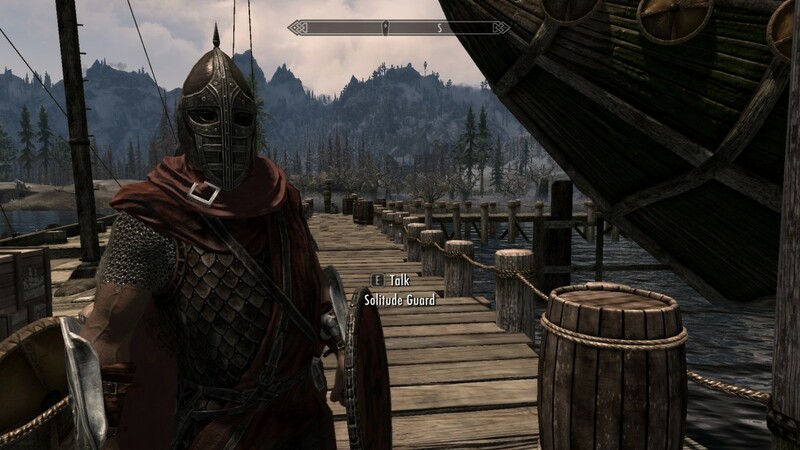 Of course, Serana may trigger the trip wire and release some rocks down the tunnel onto you. Avoid this and continue until you reach two ropes and an apparent dead end. Pull on the rope on the right side first. This will release a trap at the dead end. Then pull on the rope on the left side. This will allow the wall at the dead end to rise and reveal a path for you to travel. At this point, a vile saber-toothed tiger that's hidden behind the wall will appear to attack you. It is hard to use sneak attacks within this confined space, so allow Serana to tank and distract the saber-toothed tiger. While the saber-toothed tiger is distracted, go into Vampire Lord mode and use Vampire Lord skills to defeat the saber-toothed tiger. After you defeat the vile saber-toothed tiger, you will enter a large cavern with giant mushrooms or jellies reminiscent of the Blackreach area. 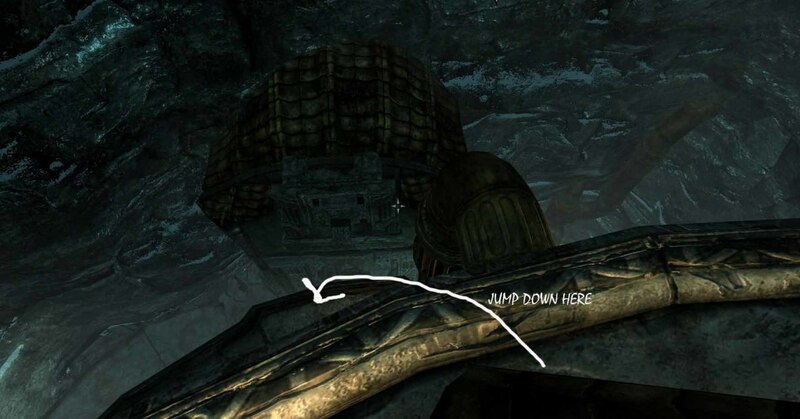 Explore this large cavern carefully and find the way (up the ramp) to a statue with Auriel's symbol on it. Be careful because there is another vile saber-toothed tiger in this area. Speak to the ghost, Prelate Sidanyis and answer "yes" to his questions. After that, the wayshrine for departing the darkside passage opens and allows the hero to enter. Once you've reached this point you will have survived Darkfall Passage. Click on the basin and enter the next part of the quest.